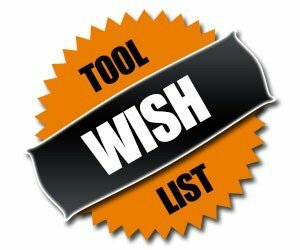 2015 has started, and like many of you, I have a wish list of tools or features I would like to see come out or be announced during the new year. Often time’s new tools are announced way in advance at trade shows or other media events, but sometimes manufacturers just like to surprise us with their latest creations. There might be some hope to see some of these in the new year, but others might just remain dreams. Over the last few years, Milwaukee has done a lot of work on their cordless tool line and have positioned themselves at the top of the list for many cordless tool buyers. They are attacking the market with the latest technology, and it is paying off. However, one thing they have kind of left behind are the big power tools. When Milwaukee came out with their 12” Miter saw a few years back, I had the hopes of seeing them also come out with a table saw. Now years later, there is no table saw, and their miter saw could probably use an update. It has been a good while since DeWalt and Makita came out with their track saws, and Bosch never came out with the ones they sold in Europe. I am a fan of competition and I would love to see more players in the game. Festool still seems to be the track saw leader here in the US and it would be nice to see some pressure put on them by other power tool manufacturers. Not only would this give users a bigger selection, it would also push Festool to continue to stay ahead of the game. With the way cordless tools are progressing, there is no reason not to come out with more cordless track saws as well. Bosch is leading the pack with induction charging, and though it is not practical for every line of work, the feature is a game changer for shop builders and those doing production work. Imagine never having downtime because the battery is constantly charging. The next step for Bosch is to get their idea for in-vehicle charging and charging through the tool-case into action. Thanks to induction charging I think there is a possibility of an alternative to traditional batteries. Since the tool is recharging every time it is set onto the charger--which could be every few seconds in certain production applications--high efficiency ultracapacitors might be a better option in those situations. It is probably a stretch to use ultracapacitors for an 18V tool, but lower voltage tools could benefit from the technology. The advantage of ultracapacitors is fast recharge times and an overall longer lifespan. 2014 saw the introduction of a few cordless lawn and garden tools, and I hope to see a lot more in 2015, especially from the major contractor tool manufacturers. I like the idea of being able to use my everyday work batteries in landscaping tools at home during the weekend, and the only way to do that is for the contractor brands to make them. Bosch and Makita already make cordless mowers, string trimmers, hedge trimmers, etc. for other parts of the world, and we are starting to see some of them here in the US, but I want more. I absolutely love cordless LED work lights, but there are times when I need light all day that I wish there was a way for me to plug them in. Sure, you could just change the battery when it dies, but I would rather not have to worry about it at all. A corded or cordless/corded hybrid LED work light would be an amazing jobsite tool.